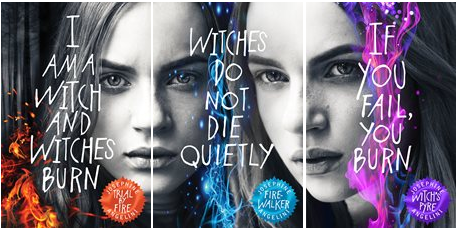 The YA series that should be on your reading list right now! There's no better feeling than falling in love with a brand new book or series, so here we're sharing a list of five series which you might have missed out on but have to have at the top of your TBR pile. And if you have heard of them, then what are you waiting for? Get them on your reading list right now! But becoming the Queen Crowned isn't solely a matter of royal birth. The night the sisters turn sixteen, the battle begins and the surviving queen gets the throne. This series follows Mirabella - the fierce elemental, Katharine - the poisoner and Arsinoe - the naturalist as they fight to become the future rulers of Fennbirn. That is, if they can survive the dangers that surround them. . . 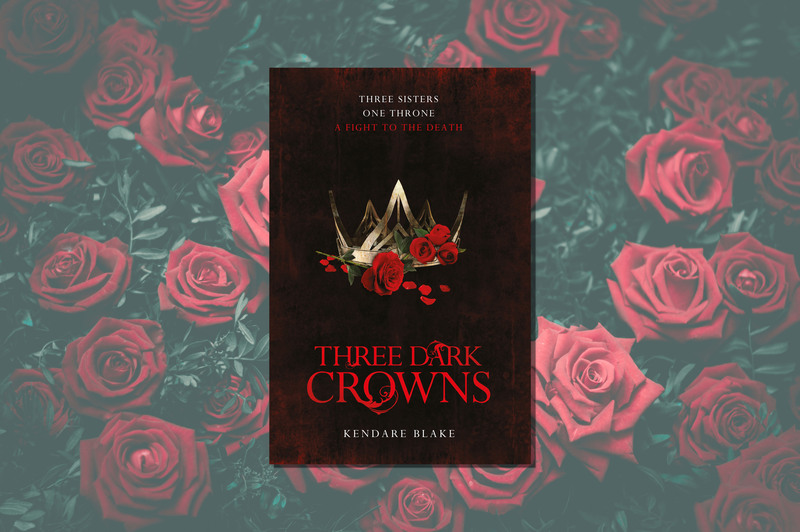 The Young Queens is a prequel to Three Dark Crowns available as an ebook, and if you keep your eyes peeled then you might spot a return to Fennbirn coming later this year. . . This world is trying to kill Lily Proctor. But when she waked up in a different Salem, in a different world, Lily realizes that what makes her weak at home makes her extraordinary in New Salem. It also puts her in danger, as Salem is ruled by powerful women called Crucibles. . . and strongest and cruellest of all the Crucibles is Lillian, Lily's identical other self in this alternate universe. Caught between what she believes is right and what she might have to do to survive, Lily's story is an electifying and addictive adventure, filled with magic, danger and romance from internationally bestselling author of the Starcrossed series, Josephine Angelini. Plus, the trilogy is complete so no long wait for the ending. That's the dream! One minute sixteen-year-old Ruby Morris is having her first proper snog with Caspar McCloud in a hot tub, and the next she’s being bundled inside to get out of the rain. But this isn't any ordinary rain. Even one drip or rain would infect your blood and eat you from the inside out and getting caught in the rain or drinking from the tap will be the last thing you do. This series follows Ruby as she tries to navigate her way to her father's house - and hopefully, safety. But in a world where people will do whatever it takes to survive, does Ruby have what it takes to come out alive? This duologuy is complete, so you can find out how Ruby's story ends now! Across the valley, Noah just wants to be like everyone else. But he’s not. Nightmares of murder and death plague him too, though he does his best to hide it. But as the world starts to crumble around them, truths start being revealed which will change everything they think they knew about themselves, the people around them and even the world they've been living in. . . 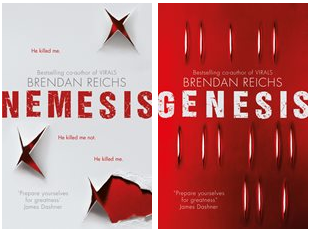 Nemesis and Genesis are fast-paced, high concept thrillers perfect for fans of The 100 and The Maze Runner. Pick up your copy now and get addicted! A PRINCESS?? ME??? Yeah. Right. 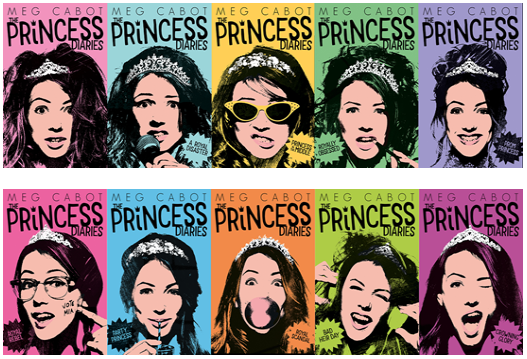 We couldn't help but show off these totally gorgeous covers for the Princess Diaries series by Meg Cabot. This hilarious series follows Mia Thermopolis, who discovers that she's actually not just a totally normal Manhatten fourteen-year-old girl - she's actually the heir to the throne of Genovia! Which means taking princess lessons with her grandmere, and maybe even eventually having to leave Manhatten behind! 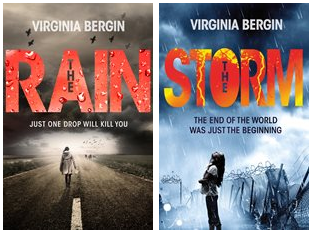 Made up of ten amazing books, this is a series which should be on everyone's shelves.